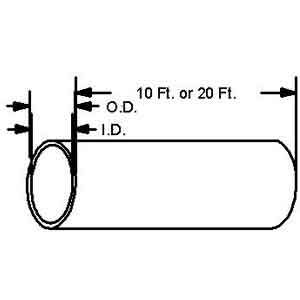 CPVC Duct Pipe 2" thru 60"
Part No. Size (O.D.) Wall Std. 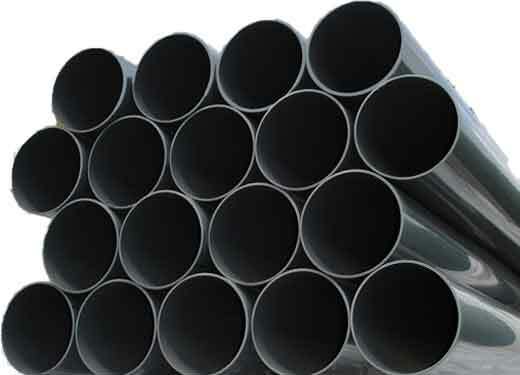 Length List Price per ft. 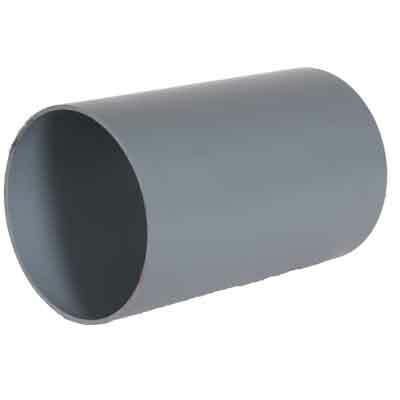 List Price per ft.
CPVC duct diameters thru 60" all available. Contact factory for details. 1833-PP-02 2" 2.375" 2.047" 0.154" 0.803 10 ft. or 20 ft.
1833-PP-03 3" 3.500" 3.042" 0.216" 1.660 10 ft. or 20 ft.
1833-PP-04 4" 4.500" 3.998" 0.237" 2.363 10 ft. or 20 ft.
1833-PP-06 6" 6.625" 6.250" 0.187" 2.340 10 ft. or 20 ft.
1833-PP-08 8" 8.625" 8.250" 0.187" 3.060 10 ft. or 20 ft.
1833-PP-10 10" 10.750" 10.380" 0.187" 3.830 10 ft. or 20 ft.
1833-PP-12 12" 12.750" 12.380" 0.187" 4.560 10 ft. or 20 ft.
1833-PP-14 14" 14.000" 13.630" 0.187" 5.010 10 ft. or 20 ft.
1833-PP-16 16" 16.000" 15.630" 0.187" 5.740 10 ft. or 20 ft.
1833-PP-18 18" 18.000" 17.630" 0.187" 6.460 10 ft. or 20 ft.
1833-PP-20 20" 20.000" 19.500" 0.219" 9.580 10 ft. or 20 ft.
1833-PP-24 24" 24.000" 23.500" 0.250" 11.520 10 ft. or 20 ft.